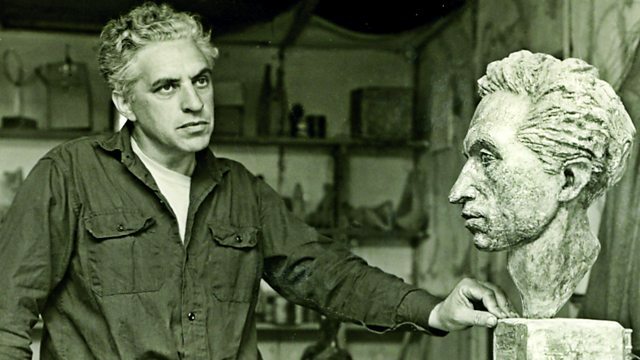 Edward visits Between Myth and Reality - an exhibition of sculpture by Chaim Stephenson - and Kevin Bocquet reports on the row over the newly appointed bishop of Sheffield. "Between Myth and Reality" the sculptures of Chaim Stephenson, is at the Crypt of St Martin-in-the-Fields, Trafalgar Square till the 10th May 2017. Chaim passed away last year aged 89, Edward met with his wife Lynne Reid Banks at the exhibition she told him about his work and their life together. The worst excesses of the Indian wedding industry may soon be curbed if a new bill is approved. The proposed bill will not only limit the number of guests and dishes served to avoid waste, but also put a "tax" on the most extravagant newlyweds. Rahul Tandon reports from India. Ahead of International Women's Day we talk to 'our woman in Rome' Sally Axworthy, UK ambassador to the Vatican, about her first 6 months in a very unique and male dominated diplomatic role. And we speak to two women who embody the theme for this year's International Women's Day - Be Bold for Change - Julie Siddiqi and Laura Marks - organisers of Britain's first ever Jewish/Muslim Women's Conference which aims to challenge the narrative around the role of women in religion. The announcement that Philip North has been named as the next Bishop of Sheffield has been criticised by many women in the diocese as he has said that he does not support and will not participate in the ordination of women as priests and bishops. Kevin Bocquet reports from Sheffield. Followed by an interview with the Bishop of Repton, the Rt Revd Jan McFarlane.